This festive season your audio needs might get fulfilled by the newest releases from the summoning priests – the US-based Harman International Industries as it enters India with two Bluetooth speakers namely JBL clip 2 and Harman Kardon GO+ Play Mini. Surprisingly these two audio tools have a difference of INR 25K, yet both are pretty convenient for varied music tastes and priorities. The JBL clip 2 has an “Ultra”, coupled with all of its specifications. It is basically an IPX7 rated waterproof instrument that is made for your pool fantasies and water-themed parties. Powered by, built-in rechargeable Li-ion battery the tool will never run out of strength till the clock says the music was already running for consistent - 8 hours. Plus, it works as your phone’s speaker with a single touch of a button. 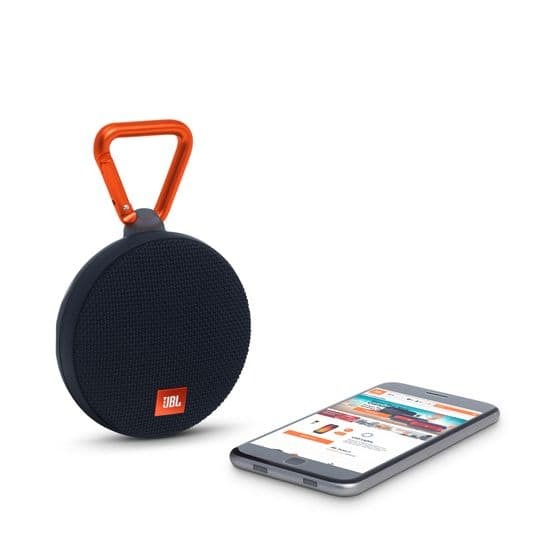 If you complain about their portability, JBL clip 2 has the capability to fulfill your need as it sports a product-fixed carabiner to support your adventures. Plus the durable rubber housed speaker can be connected with other in-kind tools if you insist on a better amplification. 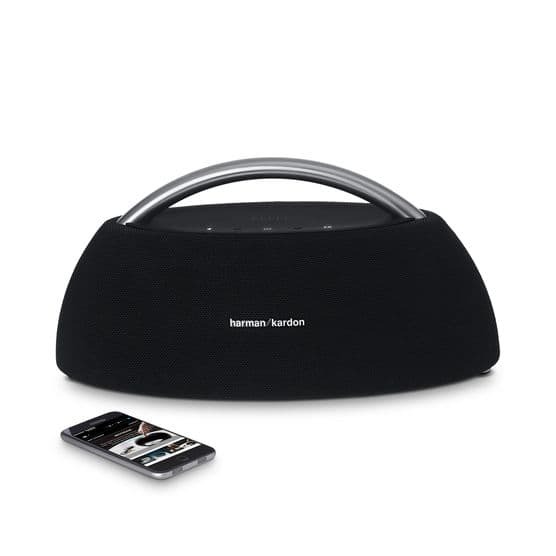 According to its official specification chart, weighing 84 g, the Harman Kardon product takes 2.5 hours to get fully charged if the input supply provides 5V and 0.5 A. Connectivity wise the product supports Bluetooth 4.2 and comes equipped with a 3.5 mm port and a micro USB port. The other product, having an aristocracy in its design is way more technically optimized. Harman Kardon Go + Play Mini is a tinier version of Harman Kardon Go + Play and replicates most of its offerings. Like JBL clip 2, it offers Bluetooth favored wireless music streaming, rechargeable battery, USB charging port, and same signal-to-noise ratio. Talking about the special addition, it boasts of dual sound and dual microphone conferencing system that refines natural voice texture out of a noisy environment. Moreover, the heavy loudspeaker comes with stainless steel handle which offers the box a regal look to carry. The JBL clip 2 and Harman Kardon GO+ Play Mini will be available in the online stores for Rs. 4990 and Rs. 29990 respectively.